The 10 to 11-mile course will consist of classic cross-country terrain: ditch and river. Details are still in play at this point, but the plan is for a 1974-older class that will run a single lap, followed by a 1984-older class that will go 4-5 laps of the same course. Later in the day, a 85-hp class will see modern Sno Pro 500s (and perhaps Yamaha Phazers) go enough laps to get tired, but not so many to require a fuel stop. Dahlen himself is a longtime racer, tuner and race-maker. He was one of the original guys behind the Pine Lake (Minn.) cross-country, has tuned xc sleds for a few people over the years, and is now into vintage. So he's got the resume of experience to pull off a fun-size-fits-all "local" cross-country in the heartland of such events. Feb. 4 is the proposed date of the event. I'll definitely post more info here when the details are fully sorted. 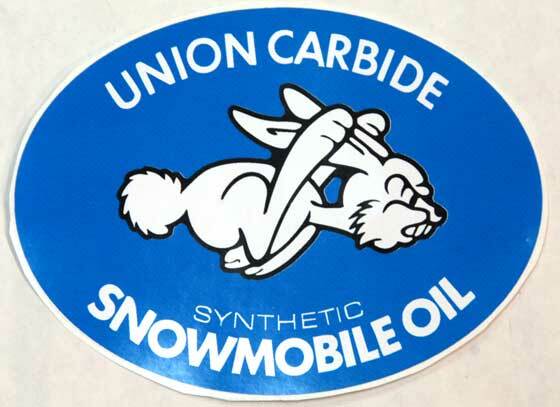 For now, enjoy the following decals that will grace my sled this season (thanks Steve!). I'm definitely going to run with the rabbit this season. 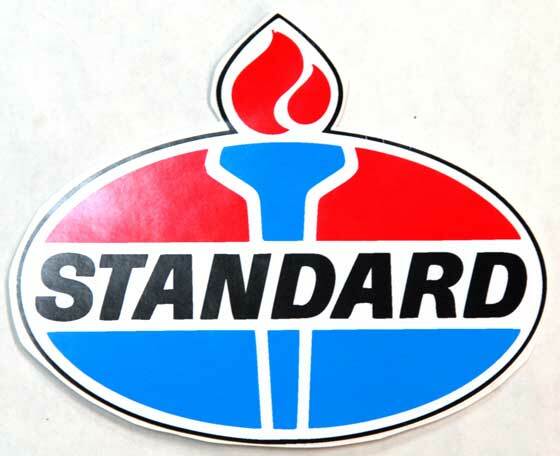 And I'll be running leaded premium that I purchase at the local Standard Station. 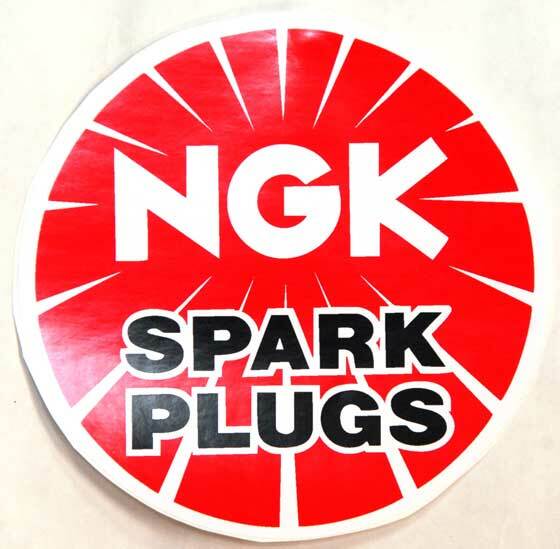 A fresh pair of BRES plugs for every race. And a cool Hamm's to celebrate upon seeing the finish line. 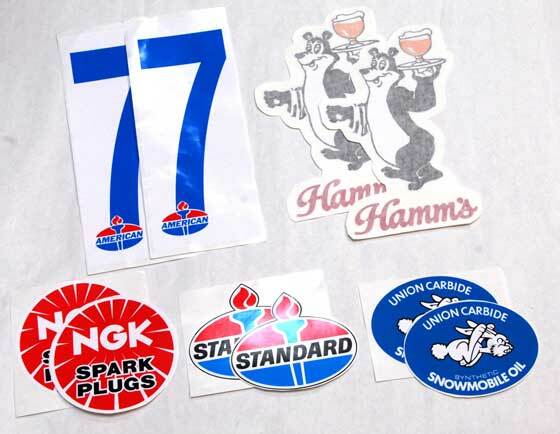 Contact Sandahl sign (218-681-2385) for the Standard, NGK, Union Carbide/Rabbit, Vintage Numbers, or Universal Screenprint (218-681-5486) for the Hamms Bear and Lemans Oil decals. Sweet decals, and the race sounds like a hoot! Keep us posted. I can smell the racing already. Oh that's the klotz I put in the snow blower just in case. John speaking of decals were are the Arctic Insider decals and the gift pack you were going to send? Did you forget? I need the big numbers!!! Got the Decals in the mail today THANKS!!!!!!. How about a story? As I bleed green or purple depending on the day..... LOL I will pull the tarp off Larry's '76 250Z and the 793 King Kat as well as show you my vast collection of Arctic Cat Items!!! 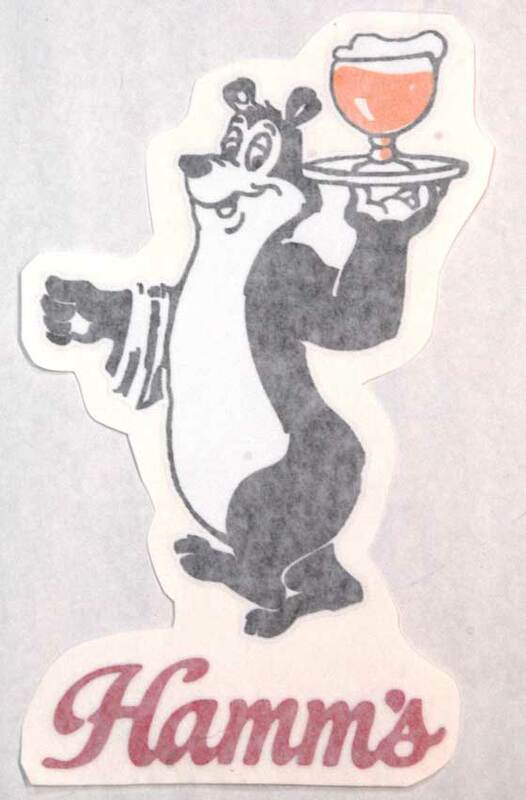 Hell I will give you the "pick of the litter" of 2 items from my collection for your time. Sleds not included!!!!!! I was thinking more like a MINT "Beat the Cat Board Game" or a remote controled "Team Arctic Pickup" or a 1971 Roll and go "Panther" Toy?